In 2010, President Barack Obama and Congress created Obamacare. Why? They wanted to make sure all Americans were able to get health insurance. More important, they wanted to lower the cost of health care. That would reduce the growing cost of Medicare and Medicaid. Those two programs threaten to take over the entire federal budget. Going to the doctor or the hospital has become very expensive. In fact, health care costs are the No. 1 cause of bankruptcy in America. A visit to the emergency room could cost from $1,400 to $3,000. A hysterectomy for cancer treatment costs between $15,000 and $38,000. People with health insurance worry less about these costs since their insurance pays most of them. The insured only pay a small fee per visit, called a copayment. Most people get health insurance as a benefit from their employer. The company usually pays part of the monthly cost, known as a premium. What happens to the people whose jobs don't provide health insurance and people without jobs? Some of them are poor enough to qualify for Medicaid, paid for by state and federal governments. Those who are older than 65 receive Medicare. They pay premiums that the federal government subsidizes. What happens to people who make too much money for Medicaid, are too young for Medicare, but don't get insurance from their jobs? They have to pay for private insurance, and it's very expensive. Before Obamacare, many just did without it and took their chances. Some had a chronic illness, called a "pre-existing condition," and the insurance companies wouldn't even offer them coverage. There were anywhere from 32 million to 50 million people who didn't have health insurance. If something happened and they had to go to the hospital, they often just didn't pay the bill. The hospital charged it to an emergency Medicaid plan. That raised the cost of health care for everyone. The Patient Protection and Affordable Care Act of 2010 is so complicated that it was phased in over five years. Here's how it affects your family and people you know. Also find out how things might change under Trump's plan to replace Obamacare. Anyone can compare plans on the exchanges, which are websites run by the state or the federal government. These exchanges also let people know when they qualify for tax credits. Obamacare is paying for most of the cost of operating these exchanges. All health insurance plans must provide 10 essential health benefits. The only exceptions are plans that existed March 23, 2010. They were "grandfathered in." People With Health Insurance - Here's six ways Obamacare improved your family's health insurance. Parents can add their adult children (up to age 26) to their plans. 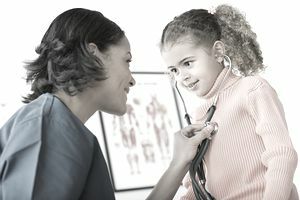 If anyone gets sick, the insurance company can't drop them from the plan or limit how much insurance your family uses. If anyone is chronically ill, a new insurance company can't deny coverage. Wellness and pregnancy exams are now free. That includes copayments. Insurance companies can't raise premium payments without approval from state governments. Some families received a check from the insurance company. That's because Obamacare says that companies must spend at least 80 percent of premiums on providing actual medical services. If they spent it on advertising or executive salaries, they have to pay the excess back to policy-holders. Many people with good health insurance worried that their companies would cancel their existing plans. The Congressional Budget Office said that could happen to 3 million to 5 million employees. The Urban Institute estimated that 2.6 million people lost their individual plans. Why? Some companies find it cheaper to pay the penalties and allow their workers to get insurance on the exchanges. Most companies will keep offering health insurance as a benefit to attract the best workers. It's less expensive for them than offering higher wages. That's because health insurance isn't taxed. People Without Health Insurance - Open enrollment on the health care exchanges is usually from November 1 to December 15 each year. If you miss the enrollment period, you may still be able to get short-term insurance. Obamacare initially required everyone to enroll by January 31 of each year. Those who didn't faced a tax. Congress eliminated that tax effective in 2019. Many people avoided the tax by qualifying for exemptions. Obamacare prohibits insurance companies from denying coverage to anyone who has a pre-existing condition. Obamacare allows more people to get Medicaid. The eligible income is 138 percent of the federal poverty level. The exact income level varies by state. The federal government paid all the additional cost for the first three years. After that, the states pay 10 percent. Not all states expanded Medicaid, despite the federal subsidy. Most families that make too much to get Medicaid will still get help. They can get subsidies every month or even reduced copayments and deductibles. This eligible income is 400 percent of the poverty level, and it increases with inflation each year. Many people don't think the federal government should have the right to force people to get insurance. Why is the federal government requiring it? If everyone has insurance, more people will go to the doctor when they are getting sick, instead of waiting until their illness turns into an expensive emergency. That lowers health care costs for everyone. Over time, health insurance should cost your family less. That's because more healthy people will pay more premiums to insurance companies, who will then make more money. They will compete with each other in the exchanges, so they’ll charge less to get more business. Older people on Medicare will have more of their drug costs covered, meaning they can afford to take all their medicine as they should and stay out of the hospital. That also lowers costs for everyone. People on Medicare - Obamacare allows seniors with Medicare to receive wellness and preventive care visits for free. Medicare provides a list of all preventive services that it covers. Those who have Medicare Part D, which paid for some but not al the costs of prescription drugs, received $250 in 2010 if they needed it. In 2011, they received 50 percent off brand-name prescription drugs, and a 7 percent discount for generic medicines. By 2020, Obamacare will pay 100 percent of prescription drug costs for those who have Medicare Part D.
Small-Business Owners - Owners of small businesses (25 employees or less) that provide health insurance can get a tax credit for 50 percent of the cost of Obamacare. They can also get federal financial assistance if they offer health insurance to early retirees age 55-64. Those Who Earn $200,000 a Year or More - Obamacare taxed individuals who earn $200,000 or more and families who earn $250,000 or more. Members and Staff of Congress - Members of Congress and their staff are required to get their insurance through the same exchanges, instead of the government-provided health insurance they got before. But they continue to receive subsidies to pay for their insurance: $4,900 for individuals and $10,000 for family coverage. Small Businesses - Companies with 100 or more employees are required to provide health insurance. If they can't or won't, they will be taxed $2,000 per employee, except for the first 30 employees. To help them find the cheapest plans, businesses with fewer than 50 employees can shop on the health insurance exchanges. In Depth: How To Make It Work for You | ​Obamacare Summary | 11 Problems With Obamacare | Pros and Cons | The Truth About Obamacare | How to Get It | When Does It Start? | Does It Add to the Debt? | What's in the Actual ACA Itself? To save money on Obamacare, see my book "The Ultimate Obamacare Handbook."